Have a day of magic on the 17th (Fri) at Tokyo Disneyland. There's much more to do: make a trip to Meiji Jingu Shrine, take in the spiritual surroundings of Sensō-ji, admire the masterpieces at Tokyo National Museum, and admire the striking features of Tokyo Skytree. To see ratings, more things to do, photos, and more tourist information, read Tokyo trip maker website . Fortaleza, Brazil to Tokyo is an approximately 29-hour flight. You can also do a combination of flight and train. The time zone difference moving from Brasilia Time to Japan Standard Time is 12 hours. In May, Tokyo is little chillier than Fortaleza - with highs of 28°C and lows of 19°C. Finish your sightseeing early on the 18th (Sat) to allow enough time to travel to Nagasaki. Get out of town with these interesting Nagasaki side-trips: Nagao Castle Park (in Nagayo-cho) and Huis Ten Bosch (in Sasebo). There's still lots to do: take an in-depth tour of Nagasaki Atomic Bomb Museum, walk around Nabekanmuriyama Park, stroll through Nagasaki Peace Park, and take in the spiritual surroundings of Catholic Church Hongouchi. For other places to visit, ratings, traveler tips, and tourist information, go to the Nagasaki tour itinerary maker website . Traveling by flight from Tokyo to Nagasaki takes 4.5 hours. Alternatively, you can do a combination of flight and train; or drive. May in Nagasaki sees daily highs of 28°C and lows of 19°C at night. Wrap up your sightseeing on the 22nd (Wed) to allow time to take a train to Hiroshima. Venture out of the city with trips to Hatsukaichi (Itsukushima Shrine, Itsukushima Shrine Torii, & more), Mt. Misen (in Miyajima) and Kintaikyo Bridge (in Iwakuni). There's much more to do: examine the collection at Hiroshima Peace Memorial Museum, step into the grandiose world of Hiroshima Castle, appreciate the history behind Atomic Bomb Dome, and contemplate the long history of Hiroshima Peace Memorial Park. To see maps, more things to do, photos, and tourist information, refer to the Hiroshima online tour itinerary maker . Traveling by train from Nagasaki to Hiroshima takes 3.5 hours. Alternatively, you can drive; or take a bus. In May in Hiroshima, expect temperatures between 28°C during the day and 18°C at night. Finish your sightseeing early on the 26th (Sun) to allow enough time to take a train to Himeji. Venture out of the city with trips to Kunimi no Mori Park (in Shiso), Hattoji Furusatomura (in Bizen) and Nishiharima Observatory Park (in Sayo-cho). There's lots more to do: steep yourself in history at Himeji Castle, take in the spiritual surroundings of Yoneda Taishiji Temple, take your sightseeing to a higher altitude at Mt. Takamikura, and don't miss a visit to Shoshazan Engyoji. For more things to do, traveler tips, other places to visit, and more tourist information, you can read our Himeji day trip planning tool . Traveling by train from Hiroshima to Himeji takes an hour. Alternatively, you can drive; or do a combination of bus and train. In May, daily temperatures in Himeji can reach 25°C, while at night they dip to 20°C. Wrap up your sightseeing on the 29th (Wed) early enough to take a train to Kyoto. Explore the numerous day-trip ideas around Kyoto: Osaka (Universal Studios Japan, Dotonbori, & more). There's still lots to do: take in the spiritual surroundings of Kiyomizu-dera Temple, step into the grandiose world of Nijo Castle, pick up a one of a kind souvenir at Maiko Antiques Kyoto, and contemplate the long history of Fushimi Inari-taisha Shrine. To find reviews, maps, where to stay, and other tourist information, read our Kyoto online trip itinerary planner . Take a train from Himeji to Kyoto in an hour. Alternatively, you can drive; or take a bus. Expect somewhat warmer weather when traveling from Himeji in May: highs in Kyoto hover around 29°C, while lows dip to 17°C. Cap off your sightseeing on the 3rd (Mon) early enough to catch the train to Kanazawa. Get out of town with these interesting Kanazawa side-trips: Shirakawa-mura (Shirakawago Gassho Zukuri Minkaen & The Historic Villages of Shirakawa-go Gassho Style Houses), Takayama (Shiroyama Park, Hida Folk Archeological Museum (Hida Minzoku Kokokan), & more) and Shishiku Park (in Hakusan). There's lots more to do: take in nature's colorful creations at Kenrokuen Garden, explore the historical opulence of Kanazawa Castle, make a trip to Omicho Market, and gain insight with a tour of cultural highlights. To see reviews, maps, other places to visit, and tourist information, refer to the Kanazawa trip planning app . You can take a train from Kyoto to Kanazawa in 2.5 hours. Other options are to drive; or take a bus. Traveling from Kyoto in June, you will find days in Kanazawa are little chillier (28°C), and nights are about the same (20°C). Finish your sightseeing early on the 8th (Sat) to allow enough time to drive to Fujikawaguchiko-machi. A resort town located in the foothills of Mount Fuji, Fujikawaguchiko-machi acts as a base for many who plan to take one of the trails up the iconic volcano. 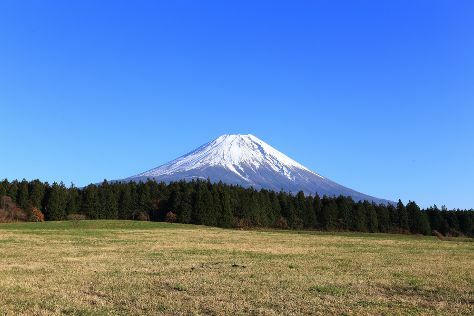 Explore Fujikawaguchiko-machi's surroundings by going to Hirasawa Pass (in Minamimaki-mura), Panoramic Viewing Platform (in Yamanakako-mura) and Kawamata Higashi Canyon Shizen Kansatsuen (in Hokuto). Spend the 10th (Mon) exploring nature at Fuji Hakone Izu National Park. Pack the 12th (Wed) with family-friendly diversions at Fuji-Q Highland. There's more to do: contemplate the geological forces at Mount Fuji and explore the activities along Lake Kawaguchi. To find traveler tips, maps, more things to do, and other tourist information, refer to the Fujikawaguchiko-machi trip itinerary planner. Getting from Kanazawa to Fujikawaguchiko-machi by car takes about 4.5 hours. Other options: do a combination of train and bus; or do a combination of flight and bus. While traveling from Kanazawa, expect slightly colder days and about the same nights in Fujikawaguchiko-machi, ranging from highs of 23°C to lows of 21°C. Finish your sightseeing early on the 12th (Wed) so you can travel back home.